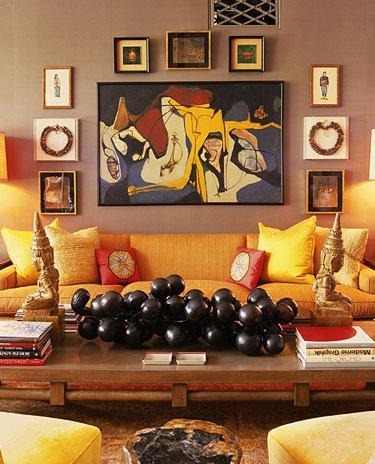 "Collecting and displaying artwork is one of the most effective means of injecting Happy Chic personality into a home. Everyone's definition of "fine art" is a little different. 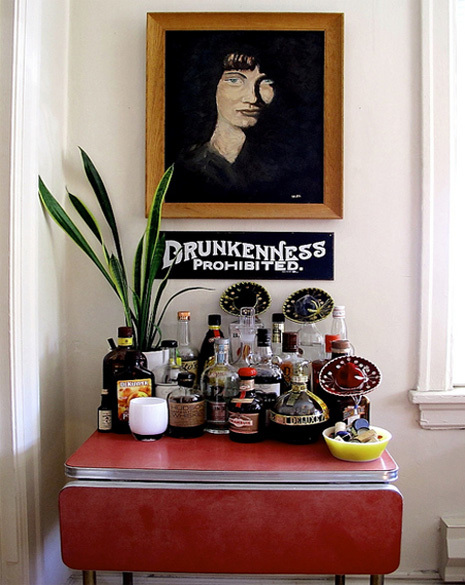 Some like Wyeth; others prefer Warhol. To each his (or her) own! 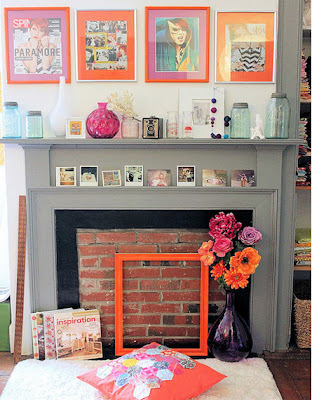 I love that orange frame propped up against the fireplace, Julie! Thanks for inspiring me. Happy Monday!! I love the picture montages in many of the photos! 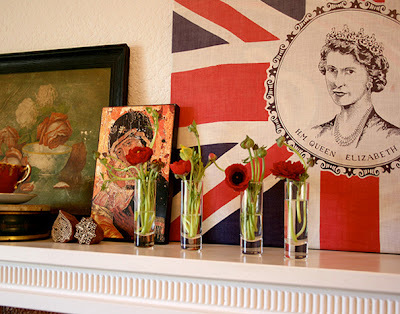 Thanks Julie for adding my website to your blog roll ~ SAS Interiors. What a great post! Love the theme! 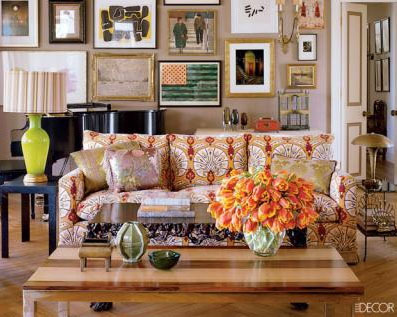 Such a great post, and also the images really do it justice - so varied and great examples! Love the inspiration! Great words! Mr. Adler is so very wise. Just popped over from Little Bits of Lovely...I'm so not disappointed. Love this post since I am big fan of having lots of art displayed throughout the home. Great pics, I really like the third one with the different coloured mats! 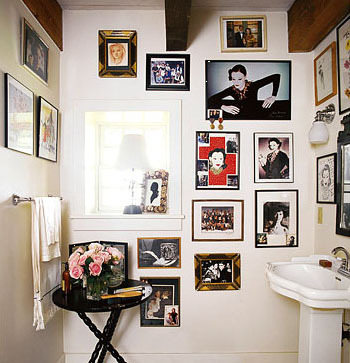 I love that bathroom with all of those pictures! Great post!! 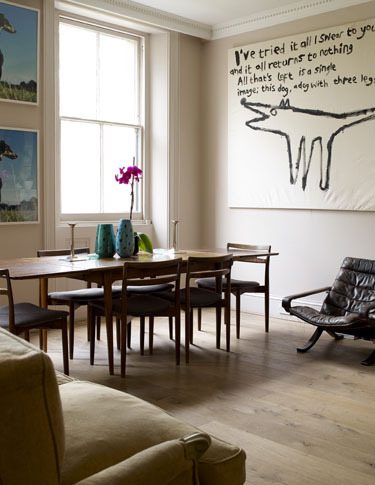 I love incorporating great art into a space!